Call it the tale of two Birminghamites. Birmingham native Corey Kluber has won the American League Cy Young Award twice, in 2014 and 2017. He is from a family who wears their union pride on their sleeves. 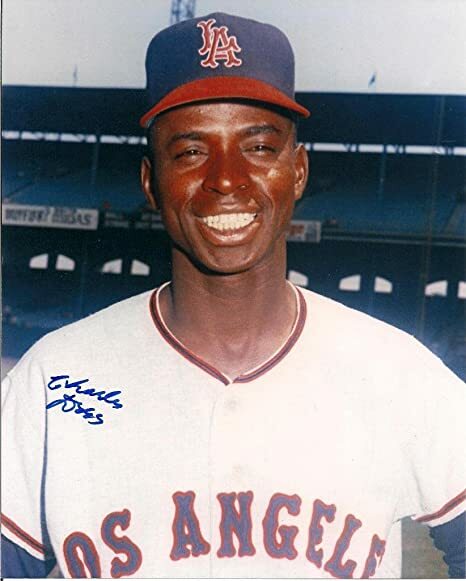 Birmingham native Charlie Dees, 83, was the first baseman for the California Angels from 1963 to 1965 who never enjoyed the success that Kluber has so far. In 98 games with the team, Dees came up to bat 260 times, collected 69 hits, including 12doubles, one triple, and three home runs, and scored 27 runs. I mention this because, for the past decade, I have attempted to help Dees and 633 other retired baseball players get the Major League Baseball (MLB) pensions I and a lot of others feel they deserve. In order to avert a threatened 1980 walkout, MLB made the following offer to the union representing the players, the Major League Baseball Players’ Association (MLBPA): going forward, all a post-1980 player would need to be eligible to buy into the league’s health insurance plan was one game day of service; all a post-1980 player would need for a benefit allowance was 43 game days of service. At the time, the threshold was four years to be vested in the pension plan. The problem was, the union failed to insist on retroactivity for all those players like Dees who played prior to 1980 who had more than 43 game days of service but less than four years. In April 2011, the league and union partially remedied this problem. Men like Dees began receiving $625 for every 43 game days they were on an active MLB roster, up to $10,000. The league – which I concede does not have to address this matter unless the union broaches it in collective bargaining negotiations — recently announced that its revenue was up 325 percent from 1992, and that it has made $500 million since 2015. What’s more, the average value of the each of the 30 clubs is up 19 percent from 2016, to $1.54 billion. And the 30 club owners recently wrote a $10 million check to the National Baseball Hall of Fame in Cooperstown. The owners chose museum relics rather than flesh and blood retirees. As for the union, the MLBPA has been loath to divvy up anymore of the collective pie. Even though the players’ welfare and benefits fund is worth more than $3.5 billion, MLBPA Executive Director Tony Clark has never commented about these non-vested retirees, many of whom are filing for bankruptcy at advanced ages, having banks foreclose on their homes and are so sickly and poor that they cannot afford adequate health care coverage. The union is running a deficit? I suspected Tony Clark was terrible when it came to empathy, but now, here’s someone’s assertion that his budgetary skills are less than stellar too. Unions are supposed to help hard working women and men in this country get a fair shake in life. But Clark is apparently only helping himself — he receives a MLB pension AND an annual salary of more than $2.1 million, including benefits. Clark needs to realize that all the men who played the sport made important contributions to the game, whether they’re vested or not. And those like Dees shouldn’t be penalized because of something that occurred in May 1980 that wasn’t their fault.